Today, March 12th 2013, marks the 135th anniversary of Gemma's birth on March 12, 1878. And so it is that 135 years ago a most extraordinary Gem of Christ was born into this world. Providentially, today also marks the beginning of the Papal conclave. We pray that the Holy Spirit may inspire and guide the Cardinals in the papal election and that the upcoming Pope will help to bring forth a new springtime and new evangelization in the Church. We unite our prayers with that of Gemma's and all the Angels and Saints! Come O' Holy Spirit and renew the face of the earth! Lord Jesus crucified, have mercy upon us! Along with the Blessed Virgin Mary, Mother of the Church, and St Joseph, the Universal Patron Saint of the Church, may St Gemma join them in being one of the patron Saints for the papal conclave!-St Gemma, pray for us! Nothing happens by chance! 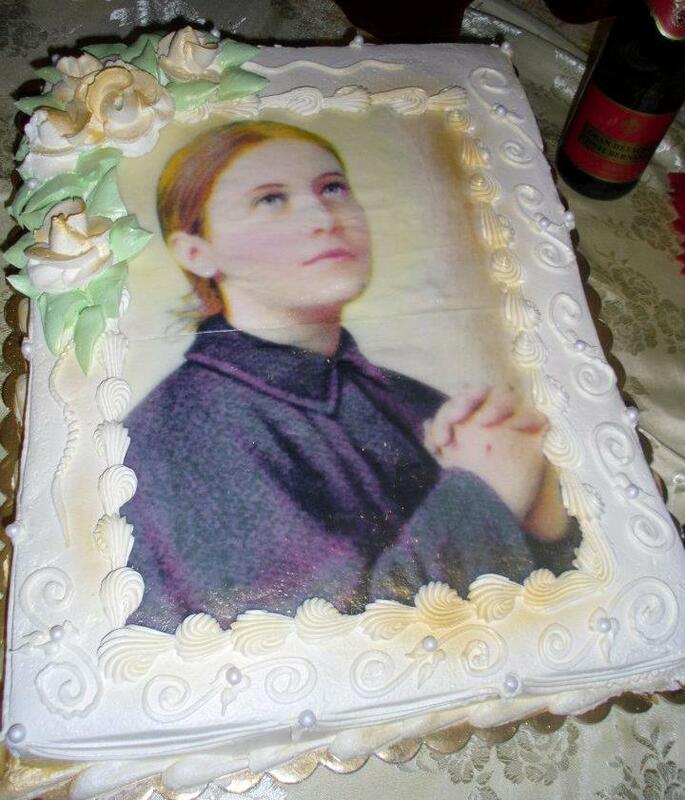 We may be sure Saint Gemma will be there 'in' the conclave in a very special way! we need heavenly help at this time - the Holy Spirit will guide us through! Holiness, Our Holy Father, Francis.